A huge 130-strong field gathered at Lakeview Fishery on Saturday for a Fish O’Mania qualifier. 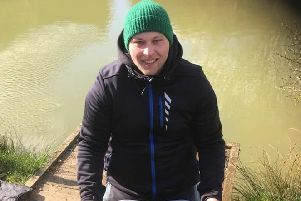 The national competition has become one of the most popular in Britain as anglers fight it out for a place in the final, televised by Sky Sports. The entrants were split onto eight pools - river, stream, canal, serpent, lagoon, reef, marina, and oasis. Leicestershire angler Sam Brown (Maver) won the day with 149lb 14oz from oasis peg 17, a full 25lb clear if runner-up Wayne Heywood, from Derbyshire, with 124lb 5oz, taken from oasis peg 14. Ben Sharp (Melton Angling) took third place with 76lb exactly from reef peg 19. * Results (top five) – Wednesday Open: 1 Brian Greenbury (LVS) 79lb 1oz (river peg 6), 2 Dave Harper (Plumtree Pig Roast Co) 65lb 13oz (stream 17), 3 Steve Haywood (Middy) 64lb 8oz (river 17), 4 Sean Huggins (Drennan/Dynamite) 59lb 5oz (river 1), 5 Andy Searle (LVS) 58lb 1oz (stream 9). Sunday Open: 1 Dave Harper (Plumtree Pig Roast) 64lb 4oz (peg 3), 2 Andy Searle (LVS) 32lb 8oz (peg 1), 3 Ken Daws (Sensas) 31lb 15oz (peg 9), 4 Kev Kania (LVS) 29lb 8oz (peg 5), 5 Steve Haywood (Middy) 27lb 12oz (peg 15).